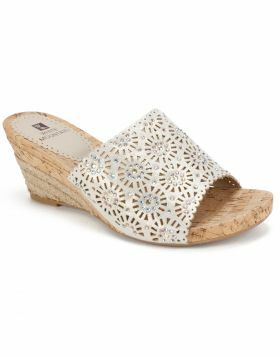 Slide into the suedette wrapped memory foam comfort insole of the Pisces leather wedge sandal from the Heritage collection by White Mountain shoes. 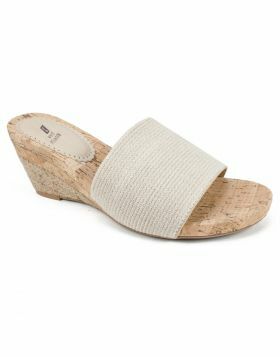 The stacked wood look of the wedge heel gives this peep toe sandal a casual vibe. Heel height: 3 inches.